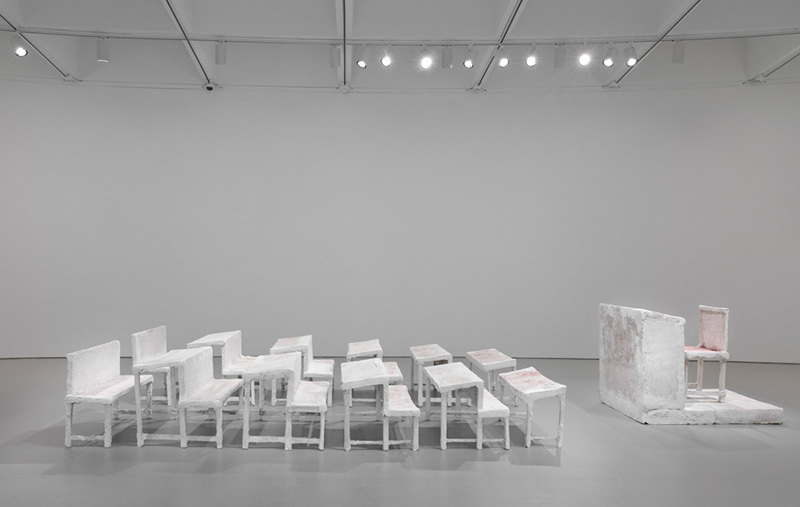 Join artist Inge Mahn and Hirshhorn Curator-at-Large Gianni Jetzer for a close look at Schulklasse [School-class] (1970), a recent Museum acquisition and the newest addition to the exhibition What Absence Is Made Of. Mahn graduated from the Academy of Arts in Düsseldorf, where she studied under Joseph Beuys, and has exhibited internationally. Her stark plaster works reexamine everyday objects that are at once easily recognizable and hauntingly distant. In celebration of the first time Schulklasse is on display at the Museum, Mahn and Jetzer will come together to discuss the seminal sculpture and the experiences and historical moments that inspired the artist’s creations over the last forty years. We encourage you to arrive early. Lerner Room seating is limited. Any open seats may be released to walk-up visitors 10 minutes before the program. This program is made possible with support from the Goethe-Institut Washington.